There's an easier way to work with fabrics. 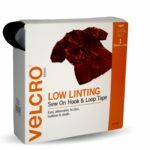 VELCRO® Brand fabric tapes and apparel fasteners offer a simple answer for all your fabric needs, whether it's replacing zippers or designing an entire outfit. 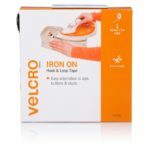 VELCRO® Brand Iron On is designed for easy, heat-activated application. No sewing required and no stitch marks to hide! 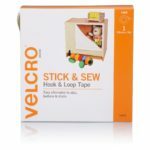 This type of VELCRO® Brand Fasteners are ideal for infant wear and lightweight fabrics. 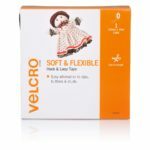 Gentle on the skin, ideal for infants and lightweight fabrics. 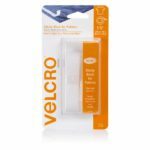 VELCRO® Brand Sticky Back for Fabrics is an easy to apply peel and stick fastener that provides a permanent bond to fabrics with no sewing, gluing or ironing required. 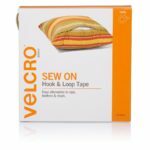 VELCRO® Brand Sew On fasteners offer convenient, long-lasting closures for clothing, accessories and home decorating. Hand or machine stitch around edge of the tape and backstitch to secure.